This is beautiful box of scrap gold from August 31st 2010. 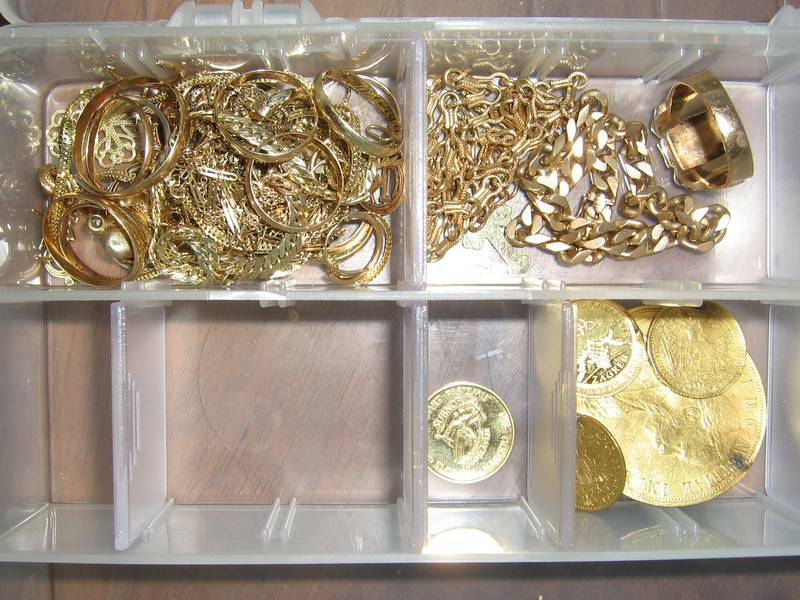 There is one large Austrian ducat and few of other gold coins and ducats and various necklaces and other stuff. But guess what is making it so beautiful?